inputs, and ampliﬁed outputs ensure a ﬂawless installation. 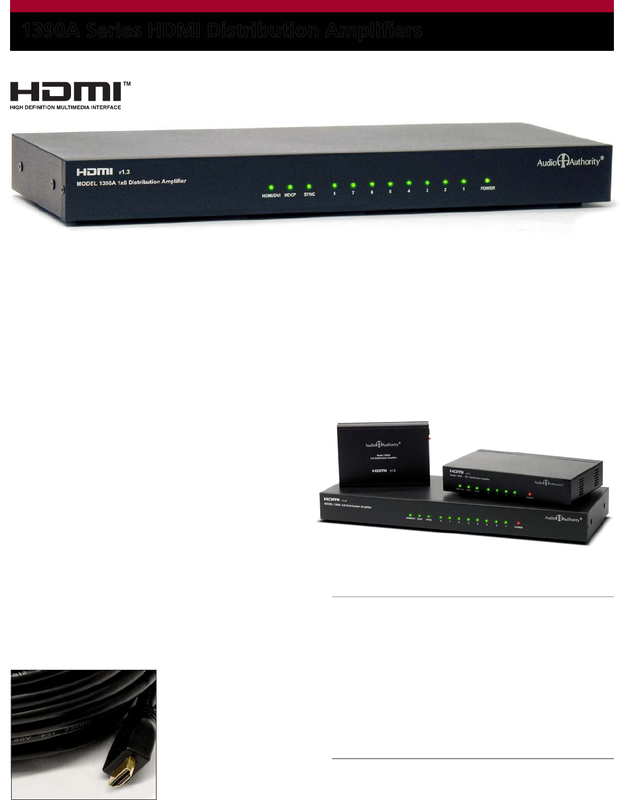 ampliﬁers, repeaters and switchers for HDMI and DVI signals. Laboratories, Incorporated. DTS is a trademark of DTS, Incorporated. from 6 to 50 feet. of the Model 1391A HDMI Extender/DDC corrector.